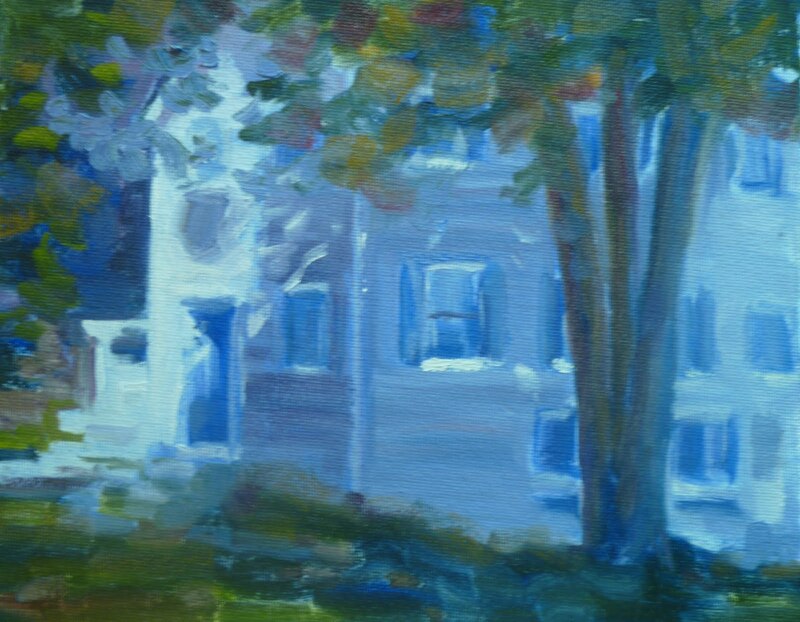 This was painted quickly and loosely from a photo I saw on Facebook (thanks Mary Beth) - I loved the angle and the bluish cast of light with the intense sunspot. It's never looked prettier!! I love it. I love the white sunshine there!